Waste water management from the gas extraction process is critical for meeting the environmental conditions set by the regulators who control the licensing of gas wells, transportation and processing. 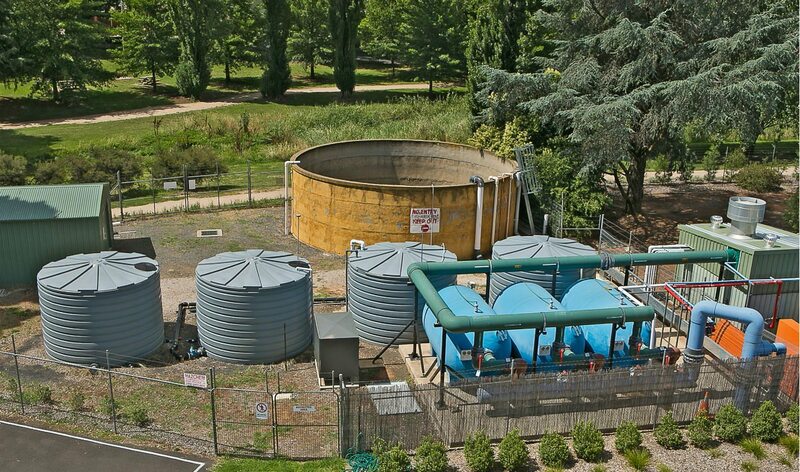 To manage waste water effectively there needs to be a series of treatment and storage facilities. The types of contamination issues that have to be dealt with include water containing coal fines, sands, and sludge and other materials. Storage tanks are incorporated into the different parts of the process to store water until it is safe to return to the environment. Bushmans Industrial has extensive experience in designing and supplying tanks to the oil and gas sector including coal seam gas extraction, oil and gas transport and processing facilities. Each project is unique and Bushmans approach is to work with its customers to build the best solution for every project. According to Bushmans’, the key is to design a tank and system that is able to meet the needs of the specific operation or process. “Considerations include the type of water or liquid to be stored, location and processes undertaken in the tank, specific gravity, corrosiveness of the water or liquid and temperature,” it stated. Tanks manufactured using polyethylene provided the most flexible and effective storage solution available. Bushmans has been manufacturing polyethylene tanks since 1989 and have extensive experience in the design of tanks and the fittings and equipment that are incorporated into industrial tanks used in the oil and gas industry.